The Mayo Conundrum – A Psychological Perspective! The famous curse of ’51 allegedly prevents Mayo from winning the Sam Maguire Cup ever again, or at least until the death has occurred of every member of the last winning team. 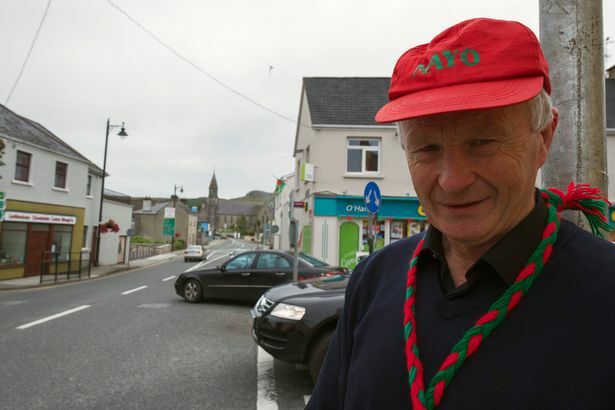 The story goes that the victorious Mayo team in 1951, while passing through Foxford during the celebrations, failed to pay due respects to a passing funeral. Enraged, a local priest cursed the county team, that while any member of the 1951 team lived, Mayo would never win another All-Ireland. It remains unbroken —despite the team reaching the Final on seven occasions since then. They have either completely collapsed on the day or been undone by a series of other unfortunate events. 62 years on, only a handful of that 1951 team remain. In many of these finals, significant leads were thrown away as the game neared the end. None more so than in 1996, when having led by 6 points, a freak point by Meath’s Colm Coyle bounced over the bar from a 70m kick at the end of the game reinforcing the concept of the dreaded curse coming to pass. See highlights here. The replay was just as bad as Meath came from a 6 point deficet to win the game in the last few minutes. Kerry prolonged the torture with big wins in the finals of 2004 (eight points) and 2006 (thirteen points). They were back again in the finals of 2012 and 2013 against Donegal and Dublin respectively. After losing to Donegal in 2012, a priest, Fr Padraic Costello was called in to lift the curse to and end the 62-year-old misfortune. While Fr Costello is sceptical about the curse, to be on the safe side, he gave the squad an official blessing at the exact place on the bridge over the River Moy in Foxford, Co Mayo where it was allegedly imposed. They lost again by a point to Dublin. So is there really a curse and what is going on? Mayo might be cursed alright but most likely it is one of a different kind than the popular stories suggest. The likelihood is that too many have been cursed with performance anxiety at varying stages of the finals that they have participated in. Performance anxiety regularly gets the better of highly skilled athletes as they make unusual and uncharacteristic errors at key moments in front of big audiences in highly charged environments. In such scenarios, players sometimes don’t turn up to play at their maximum (2004 & 2006) and the game is over before it even gets going. In other ways, the anxiety manifests itself in poor skill execution and decision making among skilled athletes as they lose the ability to control their nerves. The anxiety takes the form of a mild unseen panic attack (or what we know as psycho-somatic stress) that impedes brain signals travelling down the neurological pathways to the working muscles resulting in the breakdown of the autonomic nervous system – affecting performance and skill execution – very often when the game is coming to boiling point in the last 15 minutes as the noise of the crowd and tension reach a crescendo. Psychological stress takes the form of worry – worry over how one is playing and other peoples perceptions – family, management, other players, worry about winning or losing. It can also cause difficulty in sleeping on nights previous and can cloud decision making during the game. ed heart rate, increased sweating, trembling hands and toes, nausea, increased need to use toilet, dry throat and inability to process visual information. 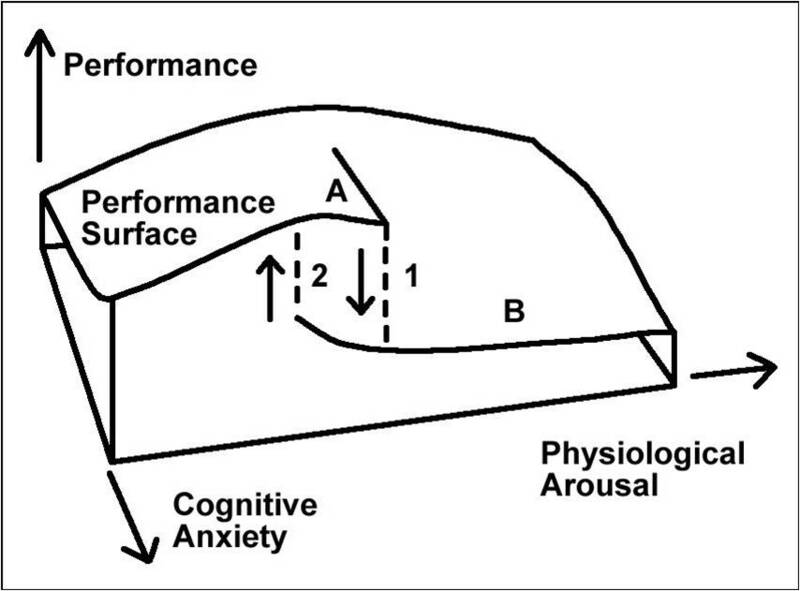 The combination of an increase in both cognitive anxiety (head worry) and somatic anxiety (muscle worry) at the same time forces the body and mind to overheat and athletes then struggle to execute what are normally relatively easy tasks due to psycho-somatic stress. Skill execution that is normally considered easy becomes a lot more difficult for suffering athletes through a breakdown of natural movement processes or what we know as de-chunking of natural flow of movement. This has been extensively researched by Lew Hardy at Bangor University with his 1996 paper suggesting that boosting confidence can help buffer the level of anxiety at which these performance decrements occur. This confidence buffering may be the reason that teams that have won more regularly don’t suffer nearly as much. Kerry and Dublin in football and Kilkenny in hurling often have higher levels of confidence from being used to being in the winners enclosure. They don’t suffer the burden from having a huge weight of expectation on their shoulders as there are often a number of their team-mates that have had previous success. There isn’t the same level of mass hysteria within a successful county as those counties that have experienced a huge wait or length of time from the previous success. Additionally, former players from players clubs and parishes in successful counties have All-Ireland medals and this knowledge will give them some confidence that it is “in their blood” as many players in traditionally successful counties often see success as a divine right and are less hampered emotionally as a result. A significant performance breakdown is even more likely to happen in a highly charged environment that is competitive sport as players feel pressure to perform and win. The media hype that surrounds an event like an All-Ireland can be extremely fatiguing and detrimental to players who suffer from such stress. It isn’t just Mayo alone who suffer. In the drawn 2015 All-Ireland semi final against Mayo, Dublin goalkeeper Stephen Cluxton had a meltdown due to psycho-somatic stress as Mayo came from 7 points behind to draw the game. Joe Canning missed an easy free in the 2015 hurling final at a key moment this year while in 2004, Westmeath’s Dessie Dolan missed a 20m free from straight in front of the posts in a championship game against Meath (Westmeath had never beaten Meath in championship at the time). We have seen it in other sports too. Jonny Sexton missed a crucial rugby place kick against the All Blacks in the Guinness Autumn series a few years ago that would have sealed victory for Ireland – a first for his country over the All-blacks. At the time, he stood over the kick for more than 15 seconds longer than he normally does. Gareth Southgate fluffed a penalty at the European Soccer Championship 1996 for England while there are countless other examples from Jana Novotna at Wimbledon to AC Milan against Liverpool in the Champions league final to Jean Van de Welde at the British Open. While Mayo have obviously suffered in the past from this, perhaps it is unfair to pin all of their most recent close attempts on this reason alone, as they have acquitted themselves quite well in the last few years – possibly due to the support of a team psychologist. Very often the athlete’s or teams that struggle are ones that have a history of not getting over the finishing line or teams / athletes that are ahead and struggle to come to terms with a competitor coming from behind when the finish line is in sight. Fear of failure directly affects physical performance and is otherwise known as choking. It can manifest itself where the anxiety brought on by the fear of failure is greater than what a player is able to manage and results in significant skill breakdown. Appropriate sport psychology interventions can help players with dealing with these situations, enabling them to attend to the most relevant aspects of the skill, aiding attentional focus on appropriate stimuli. It would have allow them to execute their skills like they normally do without the pressure and can be easily conducted through use of appropriate scientifically supported psychological skills training. Generally, a qualified sport psychologist would have an undergrad degree in sport science or psychology and an appropriate MSc in sport psychology. In addition, they would have at least 2 years experience and would have professional membership of established bodies such as the British Association of Sport and Exercise Science (BASES), Psychological Society of Ireland (PSI) Irish Institute of Sport (IIS) or British Psychological Society (BPS) and would have the tools to diagnose and offer solutions to the aforementioned issues.